In your home, you can never have too much storage. Take advantage of the space beneath the stairs to create a compact storage space for all kinds of household tools and objects. From kitchen cutlery to magazines, you can keep anything you want underneath your stairs. Just be sure to tuck items away neatly, avoiding a cluttered and messy look. Do you own collections or memorabilia that you want to display in your home but could not find space for? Consider installing a glass display underneath your staircase. A display cabinet can contain artwork, mini sculptures, travel souvenirs and other items to which you want to draw attention. Keeping a display space beneath your stairs is also an excellent conversation starter with your guests during their visit. Another clever way to make use of your under-the-stair space is to transform it into your very own mini library. A tidy rack of books beneath the stairway is a creative alternative to the common coffee table setup. If you already have a room dedicated to your book collection, treat this space as a decorative area where you can display your most intriguing picture books. The space underneath the stairs could be the perfect spot for a cosy nook. When you have a gorgeous view of the outdoors from your staircase, it makes the spot even better. Just add an ottoman or a small sofa with pillows to create that comfortable little spot for you and your family. Setting up your vintage phonograph or your Bluetooth speakers beneath the stairs is a wonderful way to jazz up your home without worrying about where to install the equipment. If you collect old vinyl records and CD albums, you can stack them up on a shelf together with your musical devices for a professional look. Taking inspiration from The Boy Who Lived, your under-the-stair space could also be a small napping chamber for your kids. Peter Fragola, a father and a huge Harry Potter fan, built a magical nook for his two young boys underneath the staircase. Patterned after Harry’s own cupboard room in Uncle Vernon’s home, the nap space is a beautiful way to integrate stories into your interiors. 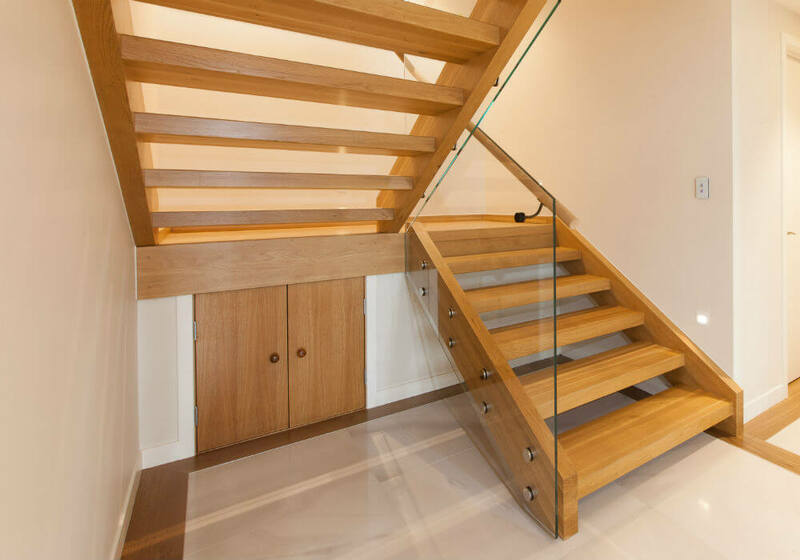 At Ackworth House, we have a wide selection of timber staircases and balustrades that spruce up your living space. We service Auckland, Whangarei and other areas in New Zealand. If you want to learn more about our collection, enquire now on 0800 225 967.